Leading Manufacturer of high speed paper glass making machine, high speed paper glass forming machine, high speed paper cup making machine, high speed paper glass machine, automatic paper cup making machine and high speed paper cup forming machine from Surat. 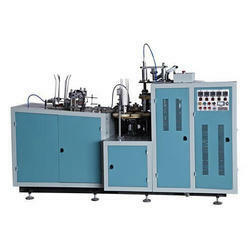 Within the short time period, we are engaged in presenting an excellent grade of Tea Cup Making Machines. 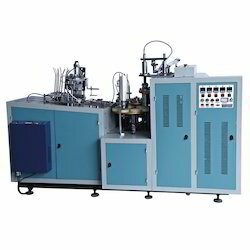 The user friendly control panel makes it a perfect tea cup making machines in the industry. These machines automatic feed raw material for manufacturing the cups. Flawless working life and excellent performance makes the machines produce with provided paper material. 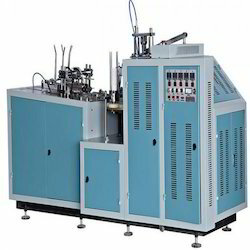 Besides, the machines can be bought from us at cost effective prices. Packaging Details: Within the short time period, we are engaged in presenting an excellent grade of Tea Cup Making Machines. 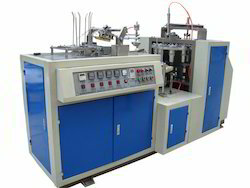 The user friendly control panel makes it a perfect tea cup making machines in the industry. These machines automatic feed raw material for manufacturing the cups. Flawless working life and excellent performance makes the machines produce with provided paper material. Besides, the machines can be bought from us at cost effective prices.